Sana Khan Niazi is an entrepreneur, theatre artist and a stand-up comic. 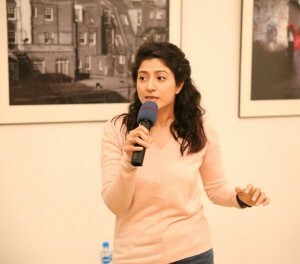 Having majored in Accounting and Finance from a University in Malaysia, she pursued her career in the performing arts in Pakistan. 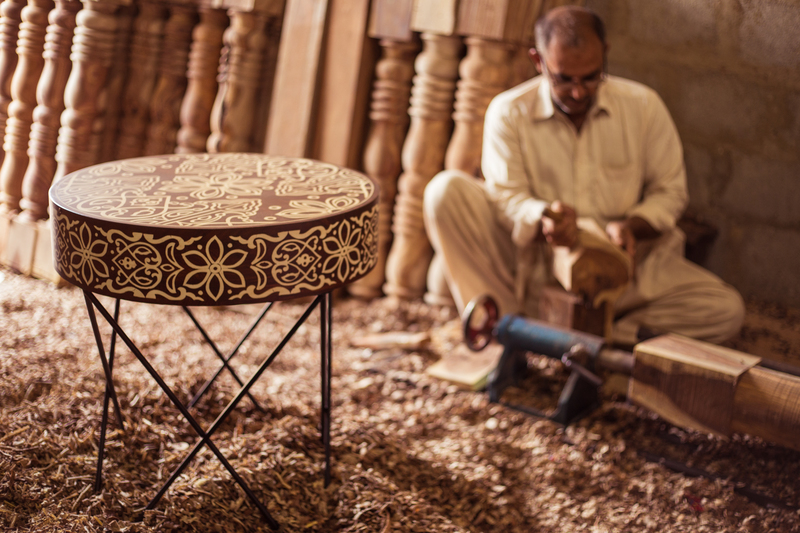 Niazi conceived the idea of her furniture company called Paimona to bring back the age-old crafts of Pakistan and its craftsmen to a global platform. She has been working on it since full-time as the Founder and CEO. Her company offers Interior Design Services, Furniture Design and Customized furniture. 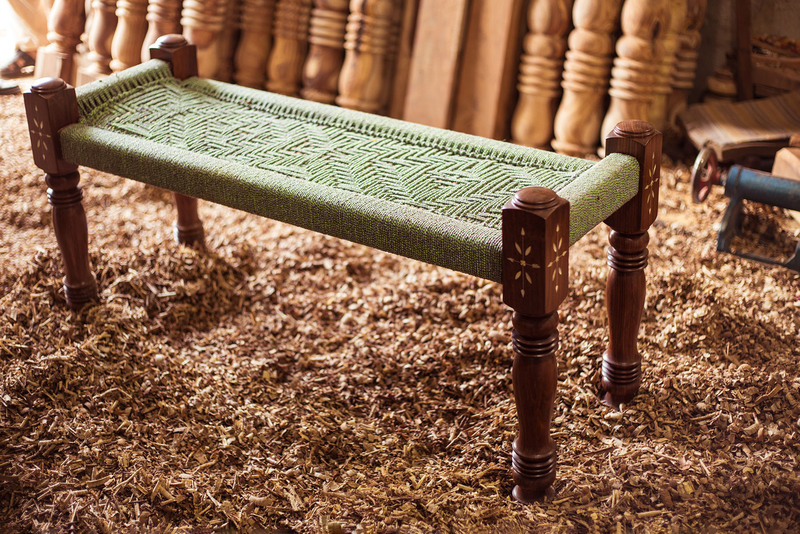 To create an identity of our people with our culture and heritage, the furniture is created with a language of its own. Sana Khan Niazi: I actually started with Accounting as a degree and went into theatre acting and production as a profession. From there I turned to furniture design as a basis of creating a solution. For the craftsmen as sustainable living and for the Customers for high-quality customized furniture. I love what I do with Paimona, but I missed the stage a lot and I could not continue doing theatre with the business running because of how much time both require. So Stand-up comedy came as a consequence of that limitation so I could write and perform as and when I have the time for it. I also wanted to experiment with something new and it drew me in. If furniture design has my heart, comedy is my sanity. MA: Can you recall how or why you became a maker? SKN: When I started the theatre, I was very deeply involved in it. It was one of those times when you feel like this is it. This is what I will be doing for the rest of my life. But things change and it was on one of the theatre performance trips to Dubai that I found my calling. I was shopping at a big fancy home store and I noticed that every piece was made in India, Bangladesh, Indonesia, China (of course), Malaysia, Thailand but not a single piece was ‘Made in Pakistan’. This curiosity took me on a journey to search for our crafts, craftsmen and heritage that is not given its due credit or value in our lives. When I realized that it was mere operational difficulties paired with a lack of education and exposure that was creating the divide between our local craft industry and the global design industry, I decided to step in to fill that gap with a creative solution. I was extremely blessed to have the right people at the right time guiding me along the way. Zain Mustafa, an architect and founder of CSDT – Cube School of Design Technology, is one such person who played a very important part in helping me develop the brand in the right direction and making Paimona what it is today. MA: What would you say are your main influences when conceiving a piece of work? And what comes first – the materials or the design idea? SKN: A lot of what I create comes from my own experiences of life, people and our culture. The idea that in order to go beyond you must first look within rings very close to my heart. It means going back to our roots, looking through the originality of life in this region, our identity and finding meaning enough to re-create it but with an upgrade as per our lifestyle today. For me, material and design go hand in hand. Sometimes design originates from the material while other times material follows the design. The key thing is Craft – what crafts are we employing in the design process as well as how we identify with them. MA: How do you choose your materials? SKN: In furniture, it is important to look at function and comfort. So materials are generally used based on that. The material is a catalyst for delivering your design into what you want the piece to become. It can make or break it. So, selecting material is often a tricky but an interesting process. 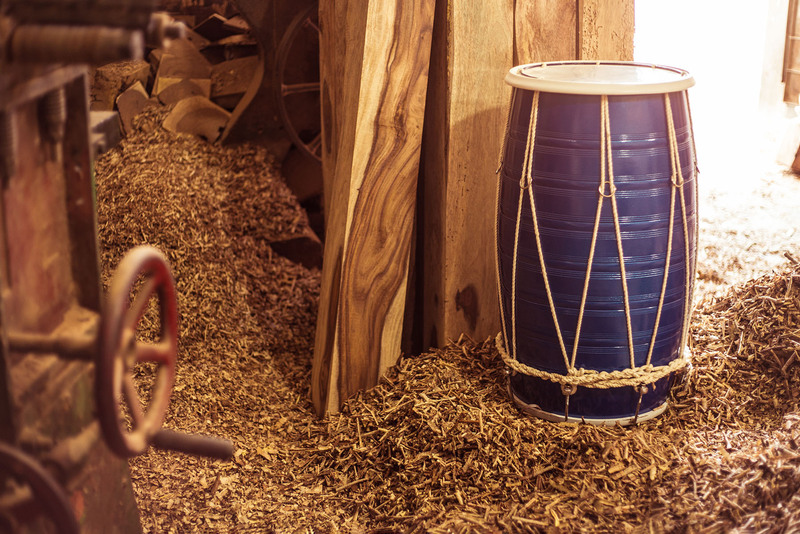 Personally, I love working with organic materials like solid wood, jute, hand-woven cloth etc. depending on what function they can play in the design. MA: What would you say are your values and ethics when it comes to designing? SKN: With design, each designer sets their own boundaries. For me, there are a few things that matter more than anything else and they are: a) My design contributes towards preserving our heritage and identity; b) It contributes towards sustaining not only the craft but also the craftsmen; and c) Quality comes first because it is the product as of its value that people buy and not just the cause. Given the global influences, there is a fusion of culture that we live in today, however, it’s important to talk about our identity and how it has evolved but within the framework of who we are. I use my furniture as my Art that talks about cultural relevance and connection to us as individuals through time. MA: Can you explain how the furniture is designed, Just a brief explanation of the process. And which part excites you the most? SKN: It starts with inspiration. I like travelling, especially within Pakistan. Finding nooks and corners around rural Pakistan that are bursting with tradition and people with hearts of gold. Meeting people from different parts of Pakistan, dining with them, working with them is like a window into the past and an opportunity into the future. The second part comes with me pouring ideas and sketching onto my notebook. Once I have gotten the ergonomics of the design, I sit down with the craftsmen and further explore the possibilities. Its hard to point what part I love working on the most because each process has its own interesting elements. Travelling would probably take the cake though. MA: Do you think that the more contemporary a design is the more expensive it becomes? If you agree, then what reasons have you observed? SKN: Not necessarily. Contemporizing is not something that adds cost to a piece. There are 2 things that decide the cost of furniture piece: manufacturing costs like Labor and material; and Design. The more a design is adding value to the user’s experience, the more valuable the design. The amount of work on a design can be gauged by its detail and ability to solve a problem or fulfil a function as well as the innovation that the design is bringing. MA: If I am buying a pure Oak wood chair from Madina Market that costs me, let’s say, PKR 20,000 and the same chair with a slight contemporary touch costs me PKR 100,000 from Paimona. Why should I buy from Paimona? Do you have any marketing strategy for that? SKN: I hope I can someday sell a chair for Rs. 100,000! But that is not the case right now. Apart from the value, I spoke about earlier that a carefully designed piece of furniture has (the more carefully designed, the more expensive), different markets are for different people based on the experience they expect or want including the quality and finishes of the pieces. And as the experience differs greatly, so does the cost. Also, with Paimona we try and make sure that the makers are remunerated well for their work which is not a common practice. 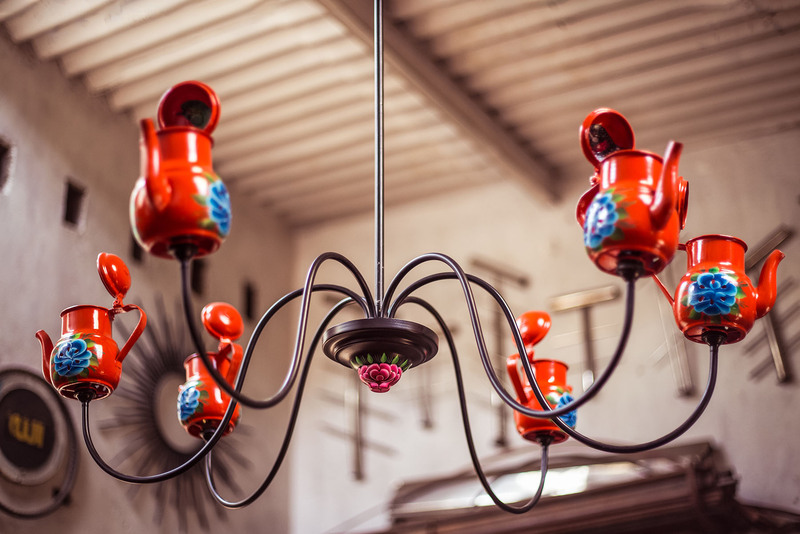 At Paimona, we believe that our craft is carried forward by the craftsmen and unless part of the value is directed towards them and their quality of life, it will not be sustainable. In today’s market, with so many an option to choose from it is nice to have people who have worked with you share their experience with people they know. For me, thanks to my generous customers, it has worked quite well. MA: As there are already local furniture makers, big brands, designers etc so what makes you unique from other furniture makers? SKN: The thing about designing your own furniture is that you can have your own language of design and your pieces are unique from anyone else’s. There are a lot of people who are doing some really good work in furniture and interiors, but you stand apart with your design language or trademark style. Again, I would say experience is also something that sets us apart. MA: When did you start furniture designing and how have things changed over the years since you have come to this industry? SKN: I started, officially, 3 years ago and it has been a roller coaster ride – just the way I like it. Apart from learning a lot myself, I have seen people evolve around me as well. The process started much before I came into the industry, but I certainly did see a big change in people’s awareness of the kind of spaces they want to live it since I have been in it. Just the realization that your living/office space has a lot of impact on the quality of life says a lot about how they will go about improving their spaces. As a designer, it is amazing to have more and more people wanting to focus on the design before diving into changing/creating their interiors. As much as I love working with clients who give you creative freedom, it is also a lot of fun working with clients who are involved in the process – sharing their research and ideas when we are designing. MA: Have your practices changed to keep up with new technologies? SKN: Technology plays a big role when it comes to hardware and there are so many new gadgets out there that make furniture and interiors interactive and fun. I love using them in my furniture. MA: How much labour work and time is required to make the furniture? SKN: It depends on what we are creating. Time varies from 4-5 days to a month. The level of detail, process and intricacy of a piece decides where it falls on that timeline. MA: Please share an experience in which you presented to a group. What was the situation and how did it go? SKN: In 2017, I conducted workshops in Universities in interior Sindh in collaboration with The Nest I/O Tech Incubator for Students to ‘Improve Communication Skills through Improv’. During this workshop, I explained the importance of effective communication and how improvisation can help as well as engaged them in activities to show them how it works first-hand. In one such university in Khairpur, I was trying to encourage the young women in the audience to participate as much as the men were since they were extremely shy but to no avail. One brave young man came up to me and told me that the reason they will not participate is that they will be harassed about it by their fellow male classmates for months. I was stunned. I was angry at the men in the audience, yet they did not seem bothered by this remark against them. To them, it was ‘normal’. As much as we talk about speaking up about such issues, it is difficult to realize that you are in the middle of one but better yet have a mic in your hand! It took me a full minute to find my voice and when I did, I took my own lesson and improvised the rest of my workshop into improv, communication and respect. We did end up getting some women to participate (quite a few lefts and I could not do anything to hold them back) but I had to work with those who were still in the room. On our way back from Khairpur, we were reading out the reviews that those students had written for us and one of those reviews made it all worth it for me. It said: ‘’Apart from it being a fun activity, I learnt one thing today that I could never have imagined. That men and women can work together.’’ I was over the moon. That one person is all that mattered to me because that one person is all that made the difference. And so, I continue to teach, to share my experience and knowledge with those who lack the opportunity and the privilege that we have. It may not be enough but one person at a time is all that matters. MA: Thank you so much Niazi for your time and detailed answers to the questions.